Another month has come to pass, which means it is time for the first installment of the expected dividend increases series. Prior to delving into the dividend increases that I anticipate for the DGI portfolio for the month of August, I'll start by recapping the dividend increases from July, and their impact on my dividend income. #1: JM Smucker (SJM) increased its quarterly dividend per share from $0.78 to $0.85 for a 9% raise. Given that I own 2 shares of SJM, this translates into a $0.56 increase in annual dividend income. The 9% raise came as a bit of a surprise to me as I was expecting a raise of around 5%, but I'll certainly take the raise! #2: EQT Midstream Partners (EQM) increased its quarterly dividend per share from $1.065 to $1.09 for a 2.3% increase. Although the dividend increase sounds modest at face value, EQM raises their dividend every quarter. The raise from EQM was about what I expected, and I look forward to many more raises from EQM. With the 4 shares that I own, the increase in annual dividend income from EQM was $0.40. #3: Enterprise Products Partners (EPD) increased its quarterly dividend per share from $0.4275 to $0.43 for an increase of 0.6%. Similar to EQM, EPD has a history of increasing its dividend by a marginal amount every quarter. Overall, the increase in annual divided income from this holding amounts to $.09 due to my 9 shares. #4: On the date of this post, British Petroleum (BP) increased its quarterly dividend per share from $0.595 to $0.615 for an increase of 3.4%. Given my 4 shares of BP, this increase boosted my annual dividend income by $0.32. This dividend increase came as a bit of a surprise, and it marks the first time in 4 years that BP has raised its dividend. This was certainly a welcomed dividend increase! #1 - Altria Group (MO): Given that management tends maintain a target payout ratio of 80% of its earnings, I believe that another raise from MO is likely. Using the most recent earnings guidance of $3.90 to $4.03 that management reaffirmed, I would venture to guess that MO will increase its quarterly dividend from $0.70 to $0.77 for a raise of 10%. The next few months will be rather light in terms of dividend increases for my portfolio as the majority of increases in my portfolio occur during the last couple months of the year, as well as the first couple months of the year. In totality, I received 4 raises from my holdings in July for an increase in annual dividend income of $1.37. It would take an additional investment of $34.25 at a 4% yield to reproduce the effect that the most recent dividend increases have had on my portfolio. Although this seems rather insignificant at this point in time, one has to remember that this is the impact of a single month of dividend increases with 4 increases out of the 31 companies that I own. This increase also doesn't include any additional investments that I make or reinvestment of dividends. 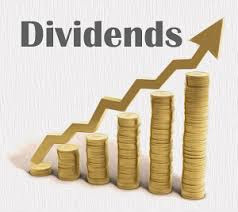 How many dividend increases did you receive in the month of July? How many are you expecting in August?